Hello Fellow book lovers, I am back with my latest book review on an awesome Middle-grade Book series. 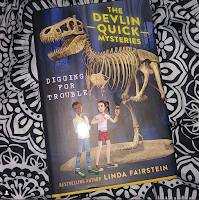 The Series is title Devlin Quick Mysteries by Linda Fairstein. 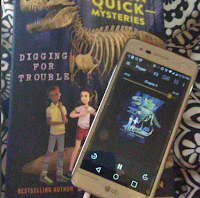 I received a finished copy of Digging for Trouble which is Book two in the series from Penguin random house in exchange for an honest review. So huge thank you to them for the chance to read this awesome book for middle graders. I also want to mention I bought the audio copy of this book to finish reading it. So let's get to the Summary and my thoughts on the book. 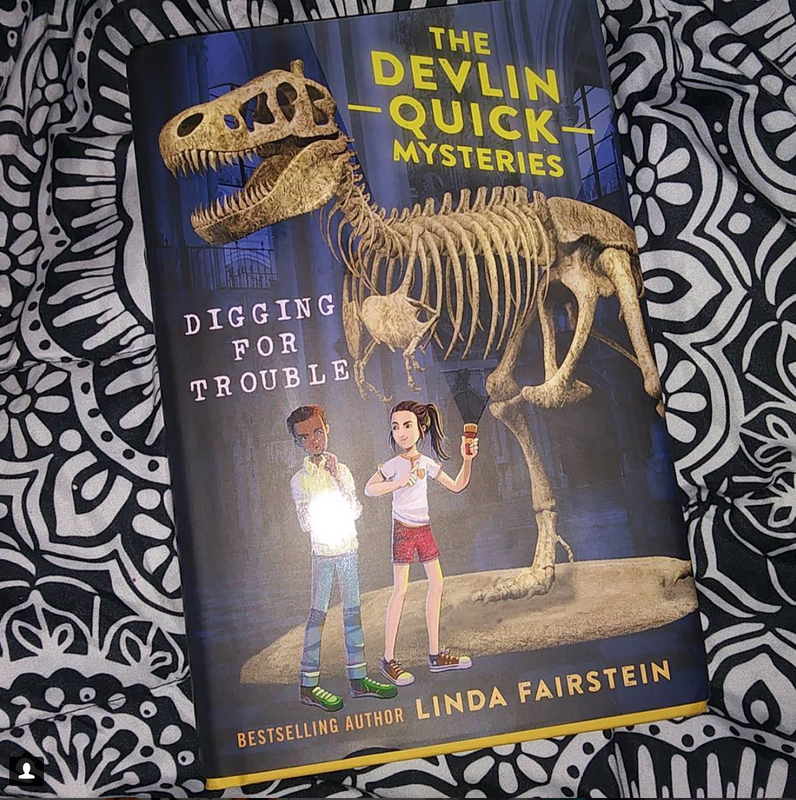 This great book is about young Devlin Quick, and her friends Katie and Booker and an awesome Dinosaur fossil mystery. when we first start the book, Katie and Dev are on a trip in the badlands of Montana, on a dinosaur expedition for digging up fossils. But soon notice that weird things start to happen, Katie finds dinosaur fossils that are mysterious exchange for fakes. Then Dev finds tire tracks on the road like someone has been at the dig site stealing.Eventually, the girls end up going back to Manhattan along with the dinosaur items from the dig. This leads to more mystery for Dev to investigate with her friends, so they can catch whoever is after their Dinosaur fossil finds. Now you all know by now I am not going to share how this book ends, but I am going to tell you that you really need to get this series for yourself or your kids because it is awesome and very Nancy Drew feeling. Now on to my final thoughts. I rated this book 4 stars out of five because I honestly think I would like it that much. But I really love this book, it has all the things a great mystery would have. It has suspense, intrigue and clues left and right. This book reminds me so much of Nancy Drew and that's probably because the author has real-life Knowledge of investigations. The Author Linda Fairstein work in a D.A. Office for two decades. I totally believe that Linda Knowledge on investigating made the clues better in this book. She really knows how to keep the reading guessing at what will be happening next. She also gives the kids real preteen emotions, like crushes. She makes you feel like your apart of the book in every chapter. I just honestly can’t tell you how much I love this series and will be looking forward to reading more of this series. Thank you once again to Penguin for this book. As always all of the links to the book, author, and my social media's will be listed below. Stay warm and have a great week.